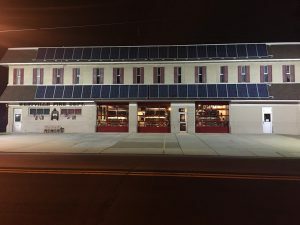 The firehouse is located on the corner of Broadway and Olive Streets in the south west side of town. The fire house is made up of two buildings: The front building has 3 bays that houses our Ladder (736), Engine (733) and Rescue (738). 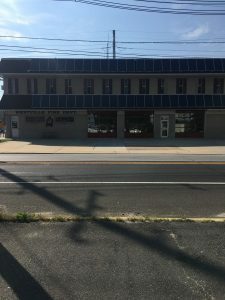 In this building we have a state of the art command center, a newly renovated bunk room that sleeps 15 Firefighters/EMT's along with a, recreational room that has a large screen TV with seating for 15. Also in this building is a full bathroom with 2 showers and a locker room that holds 15 lockers for firefighter's personal items. 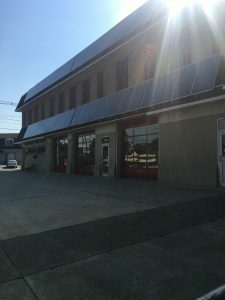 There is a full state of the art kitchen with a stove, dishwasher, a large scale dining table and a room that was converted from a meeting into the firefighters gear room. The upstairs of the firehouse has a full size gym, Large training room and our monthly meeting room. 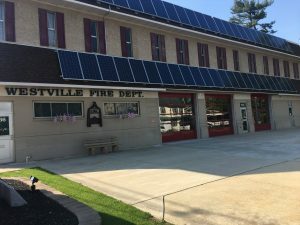 The Rear building is located in the rear of the firehouse, which also has three bays that houses our Ambulance (739), Utility Vehicle (737) and Operations vehicle (702). Also inside this building has our EMS office and EMS supplies. 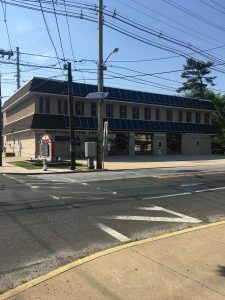 The Fire District office is located in same building along with the Fire Chief and Fire Officials offices. 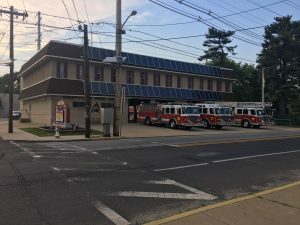 The third building is located across the street on Olive Street that houses our 2 Marine units and our Mobile Command Vehicle.